November is a busy month for me as I have several friends and family (including my Dad, my Mom and my Sis!) whose birthdays fall during that month. 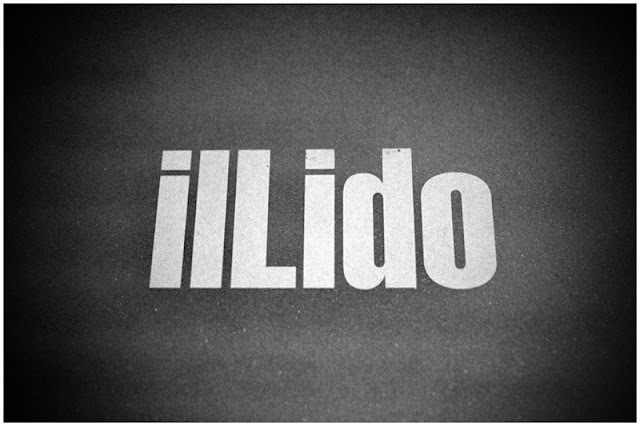 For my Sister's 28th birthday this year, she chose ilLido for one of our family's regular dining sessions. The top shot was a complimentary mushroom appetizer, and the taste was quite forgettable. 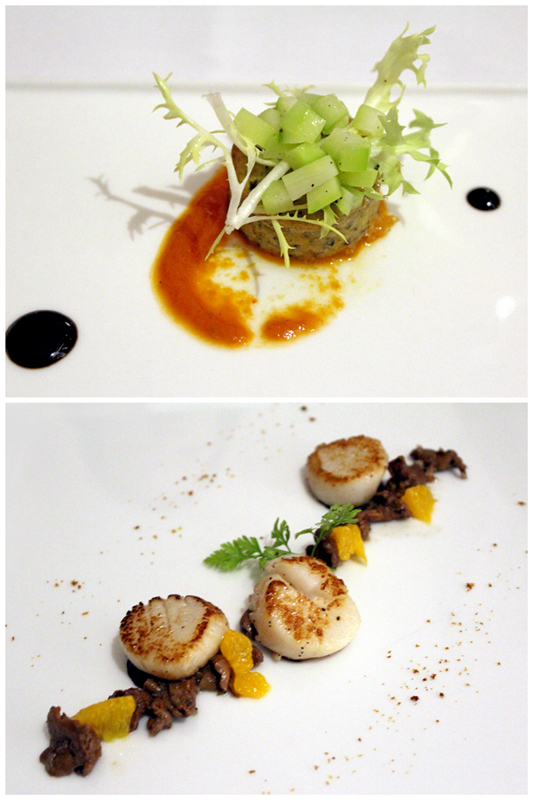 We ordered the Sea Scallops with Chanterelle Mushrooms and Blueberries (bottom shot) and it was really delicious. A pity that there were only three scallops served. We had four people that day and had to share. The Dad, as usual, ordered an Aglio Olio (well, sort of a variation anyway) dish. 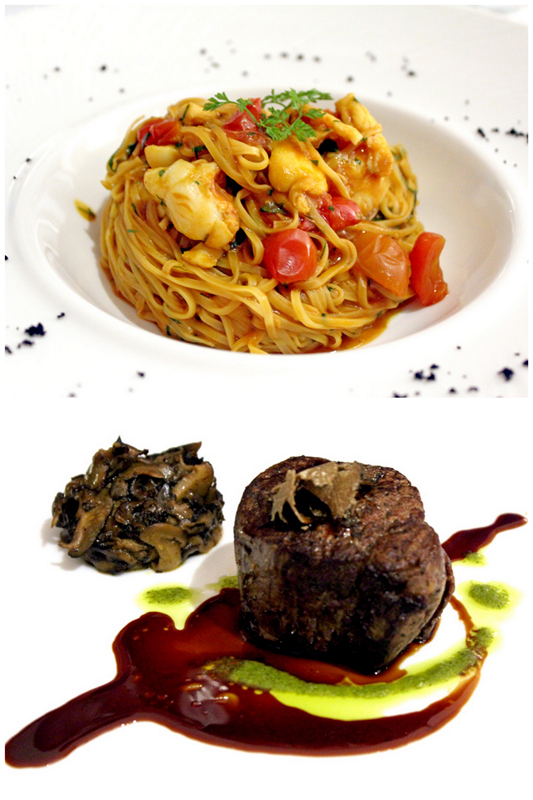 The Tagliolini with Lobster, Cherry Tomatoes and Basil (above top) was a let down. The noodles were slightly overcooked and not al dente, and we all know that the texture of the pasta plays a significant role in the enjoyment of the dish. The only saving grace was perhaps the lobster pieces that topped the dish. The Sis ordered the Black Angus Beef Tenderloin with Wild Mushrooms and Truffles and it was really good. Truffle-y mushrooms and tender beef slices are always a match made in heaven. I decided on the Baby Squid Risotto with Black Ink Sauce and Chili Peppers. I really loved this dish as the amount of baby squid they threw in was so much to the point of excessive. 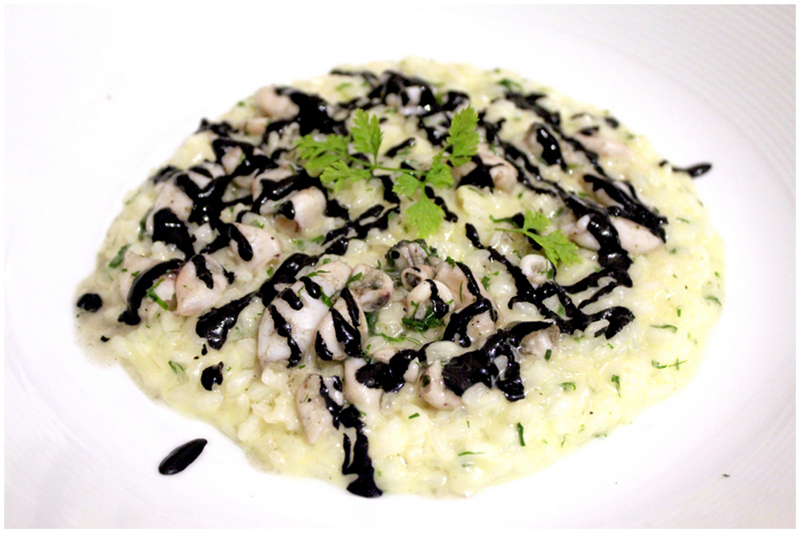 The risotto was done just right, and the soft, slightly chewy baby squid morsels were perfectly seasoned. The others tried it and all gave the thumbs up. 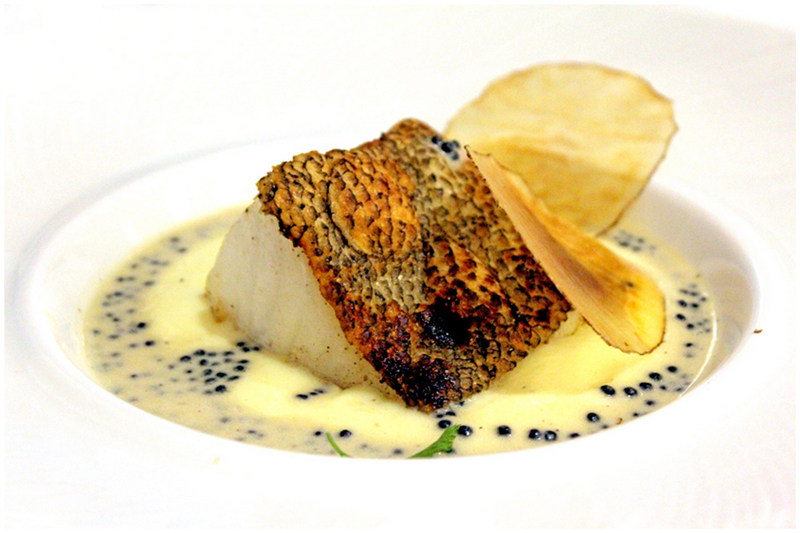 The last dish ordered was the Pan-roasted Cod with Smoked Caviar Sauce and Whipped Potatoes. I'm not a fan of cod fish in general, I find that it's just too fatty tasting for my liking. Gimme salmon or saba over cod fish any day. Anyway, this cod was not too fatty tasting and was just the right amount of melt-in-the-mouth consistency. The whipped potatoes were really smooth and light. Delicious.